Experts agree that the replacement of irreversibly damaged teeth with dental implants is by far the most important thing that someone with a severe periodontal disease can do to improve not only their smile, but their overall oral health. While dentures are definitely better than no teeth replacement at all, especially in terms of obtaining sufficient nutrition, they are often inconvenient and do nothing to stop bone loss. As a leading dental implant specialist Los Angeles Area patients trust, Dr. Peiman Soleymani of Beverly Hills Periodontist & Dental Implant Center has helped countless individuals of all ages replace their irreversibly decayed or missing teeth and get the maximum possible benefit from their dental implants. Dr. Soleymani works hard to stay ahead of the curve with the latest innovations and so he has become a top name in Los Angeles dental implants. 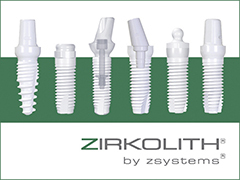 Immediate dental implants, All on 4 implants, Zirconia dental implants, and PRF bone grafting technologies are only some of the latest innovations Beverly Hills Periodontics and Dental Implant Center offers. In addition, Dr. Soleymani has been using some of the leading dental implant brands such as Nobelbiocare and Straumann for the past eighteen years. Moreover, he tailors the most fitting treatments for every single patient on a case by case basis in order to provide each patient the best long term solution. If you’re looking for a dental implant specialist or an outstanding Los Angeles periodontist to deal with gum issues, Dr. Soleymani and his entire team at Beverly Hills Periodontics & Dental Implant Center are looking forward to hearing from you. To get started, contact us by phone or e-mail today.